Samsung is seeking to dominate the Smartphone market and increase sales among the other companies. 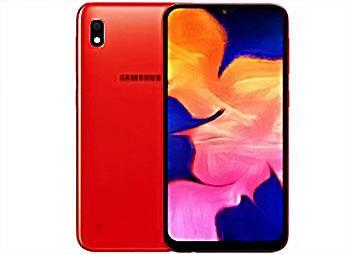 Recently, the company announced the A series, compete in categories to suit all the needs of its users, both in terms of phone specifications or price, officially announced the Samsung Galaxy A10 and Samsung Galaxy A30 Samsung Galaxy A50 each phone features that distinguish it from others, so the company tries to increase the competitive advantage of each phone alone and we will discuss the following full specifications of the Samsung Galaxy A10 Is it worth buying? What are the most important advantages and disadvantages? . The durability and quality of the phone manufacture comes from plastic polycarbonate and this is usual in the price of the phone. The phone supports Single SIM (Nano-SIM) or Dual SIM (Nano-SIM, dual stand-by). Both the SIM card slot and the external memory card come separately. The phone supports all networks where it supports 2G networks, 3G networks, 3G networks and 4G networks. 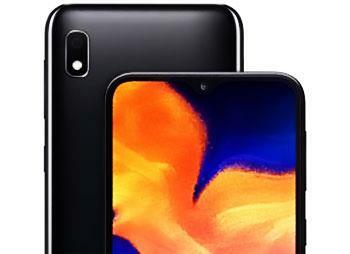 The Samsung Galaxy A10 screen comes in a waterdrop-like screen like the A30 and A50, but the difference in the A10 comes from the IPS LCD. The 6.2-inch screen comes with HD + quality at 720 x 1520 pixels at a density of 271 pixels per inch. The A10 screen from the front end of the phone is 81.6% and offers 19: 9 aspect ratio. The processor comes from the production of Samsung itself, where comes the processor type of Exynos 7884 Octa with the technology of 14nm and the graphical processor comes from the type of Mali-G51 .. This new processor of Samsung less difference by 7885 in the Samsung A7 2018. The handset comes with a 32GB storage with 3GB of RAM (the version is 3 GB RAM). The phone supports up to 512 GB of storage space. As for the cameras, the front camera of the Galaxy A10 comes with a 5 megapixel camera with a F / 2.0 lens slot. The phone comes with a mono back camera where the 13 megapixel camera comes with a F / 1.9 lens slot and supports the HDR back camera and panorama as well as a single LED flash backlight. The phone supports shooting 1080p HD video at 30 frames per second. The phone supports a secondary microphone for noise and noise isolation when the phone is used for talking, recording or shooting. The phone supports b / g / n Wi-Fi as well as support for Wi-Fi Direct, hotspot. The Bluetooth phone supports 5.0 with support for A2DP, LE. The phone also supports GPS positioning as well as support for A-GPS, GLONASS, BDS. The USB port comes from the Micro USB version 2. The Galaxy A10 also supports the 3.5mm earphone port and comes down. As for security, the phone supports Face Unlock as well as other sensors. The phone supports accelerometers and proximity sensors. The phone comes with the latest operating system comes from the type of Android 9.0 Pie with Samsung's new interface Samsung One UI. The battery comes with a capacity of 3400 mAh and does not support fast charging. The phone is available in more than one color, with the phone in blue, red, and black. The phone lacks a fingerprint sensor but this is normal for Samsung's price category. The front camera comes with low accuracy compared to competitors. The phone is easily scratched because of its plastic appearance. There are rivals like Realme C1 with a huge battery of more than 4000 mAh at a lower price. The external speakers come on the back of the phone so they are easy to mute when placed on a level surface and provide average performance. It is rare to use a single rear camera. Most competitors prefer a dual rear camera even in cheaper phones. The Notch screen delivers acceptable performance compared to the price of the phone while supporting new viewing dimensions. Supports the installation and use of two SIM cards connected to the external memory card simultaneously. Cheapest Samsung phone comes with Android 9.0. 32 GB storage space with 3 GB RAM at a convenient price from Samsung. The rear-view camera in adequate lighting produces acceptable, user-friendly images and participation on social networks.